India’s ambassador to China (Jan 2016- Oct 17), had played a key role in defusing the 73-day-long Doklam crisis. Doklam is an integral territory of Bhutan through which China wanted to construct a road, something that India had objected to. India has a mandate to protect Bhutan. That Gokhale, an expert on China affairs, was brought in as India’s top diplomat, his mandate and priority could guessed. Significantly, it has now become almost a pattern that an ex Indian envoy to China has a better chance to grab the coveted post of foreign secretary. For example, Shivshankar Menon and Nirupama Rao, both during the UPA’s time and S Jaishankar of the NDA regime, happened to be India’s ambassador to China and the someone with a deep understanding of India-China diplomatic intricacies. 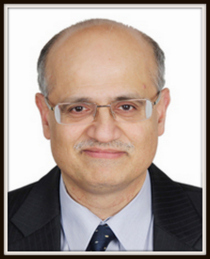 In 2013-16, Gokhale served as India’s ambassador to Germany. Earlier, he had also worked in Hong Kong, Vietnam and USA. In MEA, he held the post of director (China and East Asia), and then joint secretary (East Asia). Incumbent Jaishankar was appointed as the foreign secretary in January 2015, initially for two years, and then, his tenure was extended for one more year till January 28, 2018. Though India-China relations are likely to top Gokhale’s agenda during the year 2018, other issues concerning India-US bilateral and those arising out of Pakistan may prominently future in Gokhale’s list of priorities. 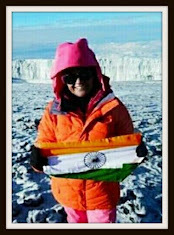 Gokhale is an MA in history from the University of Delhi.